Earlier, I wrote about getting started with your own blog. It was mentioned that you could get your own domain name to fully brand your Website. Today, we're going to talk about doing just that. Those are a little bit different, and a little bit alike. It's pretty straight-forward, actually. Keep in mind that we're focusing on Blogger and WordPress.com blogs, okay? If you decide to use another blogging service, check with that service for how to create a blog with your own domain name. The cheapest way is with Blogger. It's free for hosting (as is WordPress.com) and the domain names are only $12/year. Domain names are through Google, which also owns Blogger. First, go to https://www.blogger.com/ and login in or create an account and a blog. You should receive a popup offering to create a domain name for you. Go ahead and accept the offer, and let it look up some suggestions based on your blog name. You can also type in a domain name you want. If it doesn't prompt you there, don't worry. 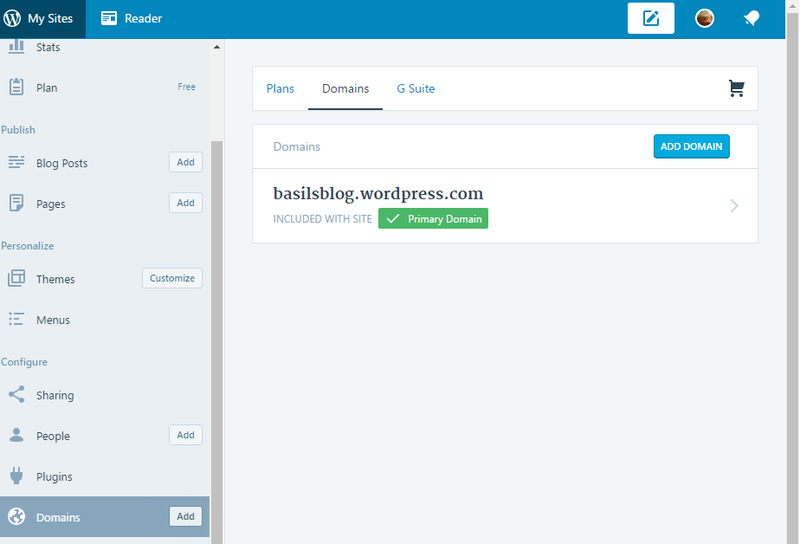 From the main menu, in Settings > Basil, look to the Publishing section and you will see an option to Buy A Domain. Click that and you'll get a Google Domains popup. Now, here's the bad news. Someone may already have that domain name. You may have to try a few things and look at a few suggestions to find one that's available and that you're happy with. But, once you do, you're good to go. Well, after you actually buy it. It's probably $12 if it's a .com domain. If there's a Premium badge next to it, it means someone else bought it and is squatting on it in order to sell it. If you already have a blog and are wanting to add your own domain name to it, just go to Settings > Basic and look in the Publishing section, as described above. That's pretty much all there is to it. Google makes it kinda easy. It's pretty easy from WordPress.com, too. Go to https://www.wordpress.com/ and click Create Website. WordPress will walk you through the setup, giving you options for the type of Website, a general layout, and general appearance, all of which can be skipped, or changed later if you like. They're just to set up the initial look and feel. On Step 4, you get prompted for a domain name or keyword. This will be your Website address. If you want your own address (removing the "wordpress" from the URL) here's a good spot to do that. It's $36/year if you select from this menu. If you set up your blog without purchasing a domain name, you can always do that later. From the main menu, look for Domains. Click that. Then look for the Add Domain button (see it in the image above?) and click it. You can then enter your choice for a domain name. If you use Blogger for your blog, use Google Domains. 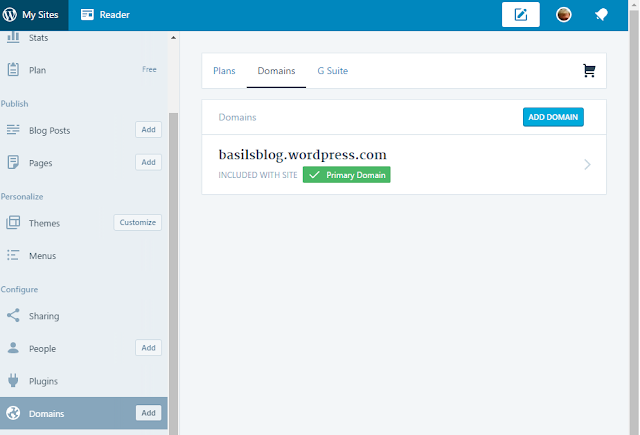 If you use WordPress.com for your blog, use WordPress.com to register your domain.